Smiles on Wings seeks to promote local self-reliance over the long term, empowering those youth who dream of becoming healthcare providers and educators to gain access to the higher education that enables and insures long-term continuation of healthcare and education in their towns. 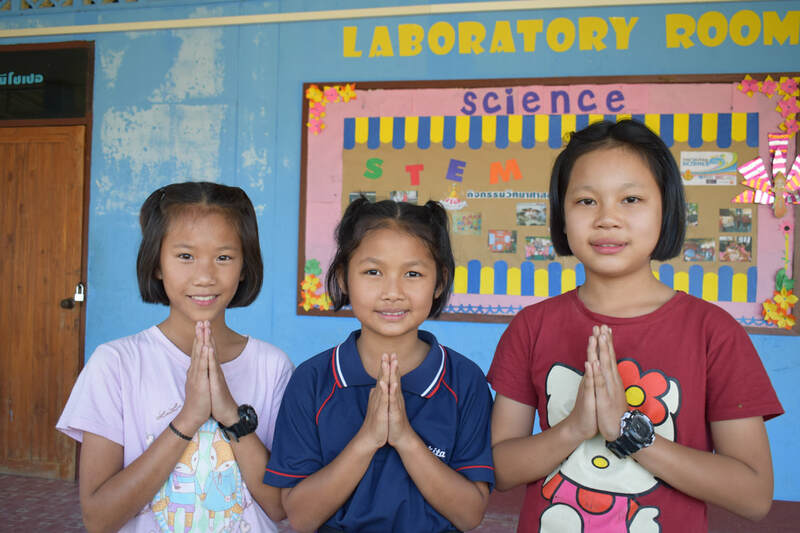 Through a generous grant from Dining for Women, the New Beginnings Scholarship provides funds for five young Karen tribal women from impoverished villages in northern Thailand to attend four or five-year university programs to attain Bachelor’s degrees in healthcare and education. Funded by Smiles on Wings' scholarship fund, the Dream Scholarship promotes women's empowerment by providing full scholarships for young women to attend college in addition to leadership development and mentoring. The Helping Hands Scholarship currently supports young children in grade school in Maesariang. These children will be supported from elementary school through high school. This scholarship helps to sow the seeds of education in young children to improve their educational success an the future. It is even possible that these youth will become out next generation of college scholars. Congratulations to each of our graduates. It is inspiring what each of these young women have accomplished and continue to do in their communities. In January 2012, Renu graduated with a Bachelor's degree in Community Health. She has returned to the village and is now serving as a Community Health Officer in the Karen Tribal village of Sob Moei where she grew up, providing mid-level healthcare for her village. Savitri graduated in 2011 with an Associate's degree in Early Childhood Education. She is currently teaching kindergarten in her hometown of Sob Moei and pursuing a Bachelor's degree. In March 2018, Janjira graduated with her Bachelor's degree in Community Health from Chiangmai Rajapat University, Maehongsorn. Janjira's hometown is Maesariang in Mae Hong Son province. Janjira has returned to her community and now works as a health officer in Mae Hong Son province.